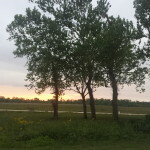 The sun is rising over the Katy prairie, and a slightly chilly breeze greets the couple of dozen nature enthusiasts huddled in a group at the front of the parking lot for the visitor’s center. 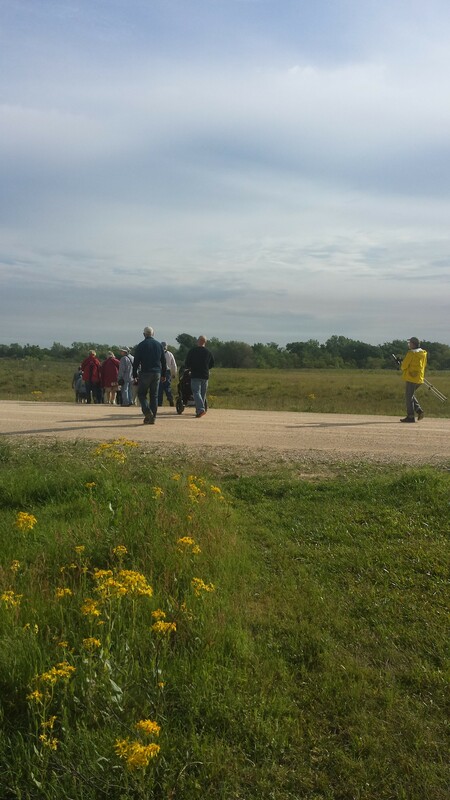 The group is waiting for vans to come pick them up, vans that are driven by wildlife biologists who know where to take the groups to have the best chance of seeing the Attwater’s prairie chickens. This time of the year is exciting because it is when the prairie chickens are engaging in their ritual courtship behaviors. From February to May, the males try to attract a mate by “booming”, which is a process in which they inflate their air sacs and then deflate them (making the sound) while doing a little dance, sometimes charging at other males. 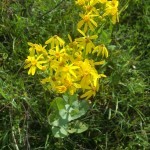 This courtship peaks in April, which is why the NWR hosts their “BoomingNBloomin” Festival annually around this time. 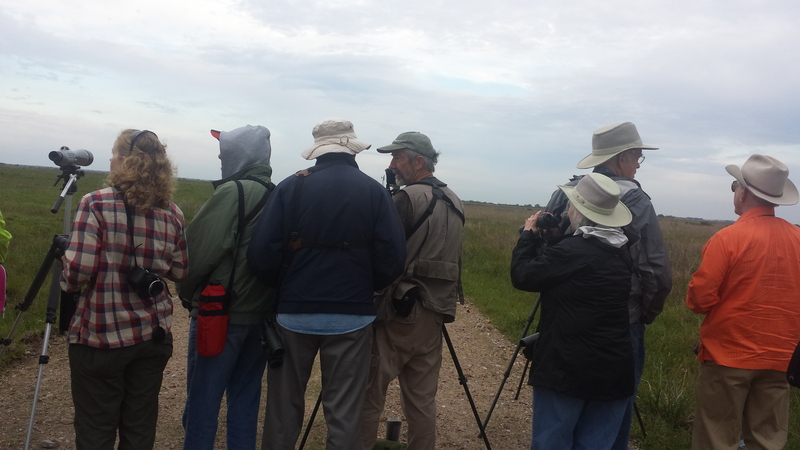 We were in attendance this year, getting up early on a Saturday morning to get out there within the one-to-two hour time period that the birds are the most active. 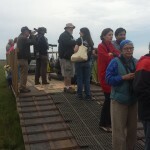 At the booming grounds, a viewing platform is temporarily placed to allow the groups to get up higher to see. 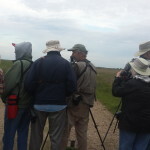 Many birders have brought their long lens to shoot the birds with, while the biologists and other “guides” have set up scopes for p eople to get a better view. There are two trucks with antennas on top that are picking up signals from the radio collars that the female birds are wearing. This helps biologists track their breeding habits to help guide decisions on how to best help these birds. Jason tried his hand at “digiscoping” in this picture below. 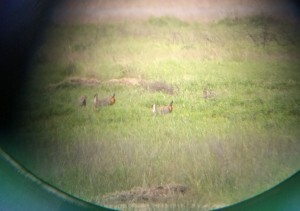 Digiscoping means to combine a scope with a digital camera/phone camera to enhance the digital image. It takes a little bit of practice to make it work best. We did get to see about a dozen of these endangered birds in the group that could be observed from the viewing platform, and then one lone chicken later, perched on a McCartney Rosebush, that was being quite the ham as we rode back in the van to the visitor center. He seemed to be showing off for our group. It was quite exciting to see so many birds considering that there are only about 90 or so of the birds left in the wild. It is one of the most endangered bird species in North America. Just around a hundred years ago, the Attwater’s prairie chicken census was around a million birds in a habitat that ranged from Louisiana to all of coastal Texas. Their habitat shrank significantly due to land use changes, such as development and urban sprawl, conversion of fields to rice and bermuda grass productions instead of grassland, overgrazing by cattle, and invasion of non-native species of plants. From what I read on a poster at the festival, the population then further declined as a result of the movement of fire ants into their habitat. Fire ants eat insects that the prairie chicken’s chicks need for subsistence. During our van tour, we saw several wire enclosures with dark netting across the top. These were acclimation pens to house captive-bred prairie chickens in before releasing them into the wild. Several zoos are participating in conservation efforts through breeding programs to help bring these birds back, including the Houston Zoo. We actually had one of the keepers in the van with us, who wanted to come out and see the end outcome. 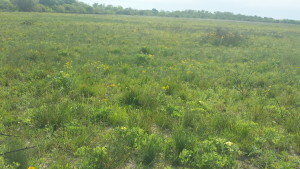 The biologists have done some experimenting to find out the ideal amount of time to house the captive bred birds in these acclimation pens to let them get used to the prairie before releasing them, and the time period that results in the lowest mortality turns out to be fourteen days. 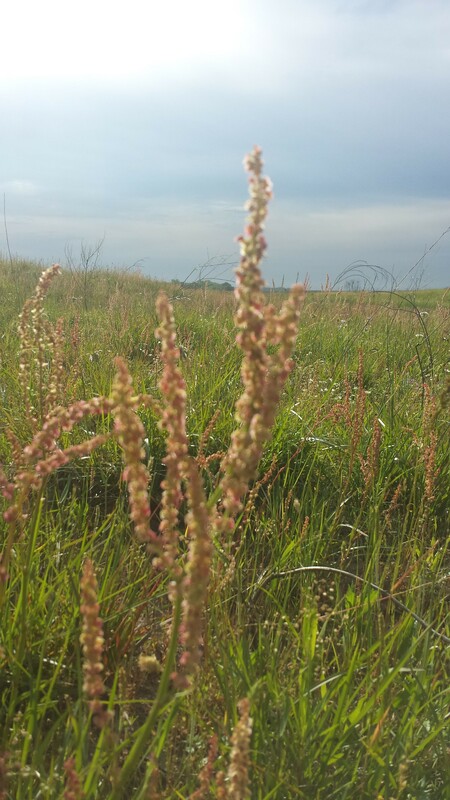 At the refuge, they also help the birds out by growing a rotation of crops that are helpful to the birds and allowing limited cattle grazing to help the land. They also do controlled burns to get rid of invasive plants. As part of the annual festival’s activities, we also participated in a bir d walk after viewing these birds. 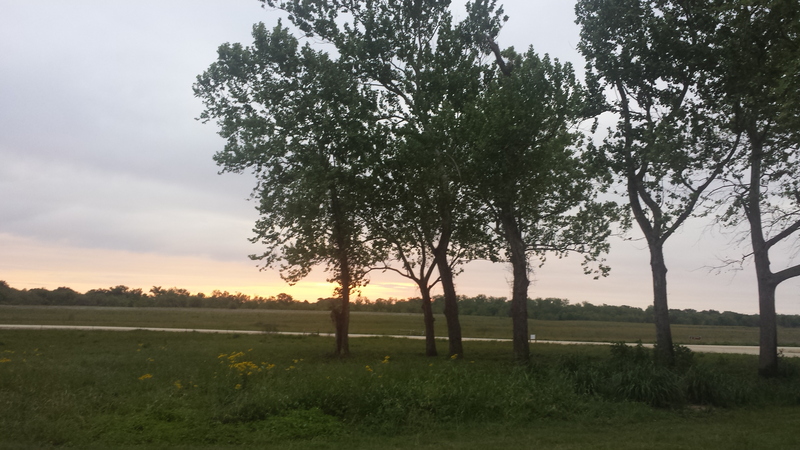 We had seen some huge white tailed hawks and little Northern Bobwhites from the van as we drove back, and during the walk we also saw Lincoln’s Sparrows, Barn Swallows, Purple Martins, and Upland Sandpipers (in addition to common birds that I don’t even record, like cardinals and mockingbirds). One interesting fact that the biologist who conducted our walk pointed out is that the Upland Sandpiper is also an endangered bird. 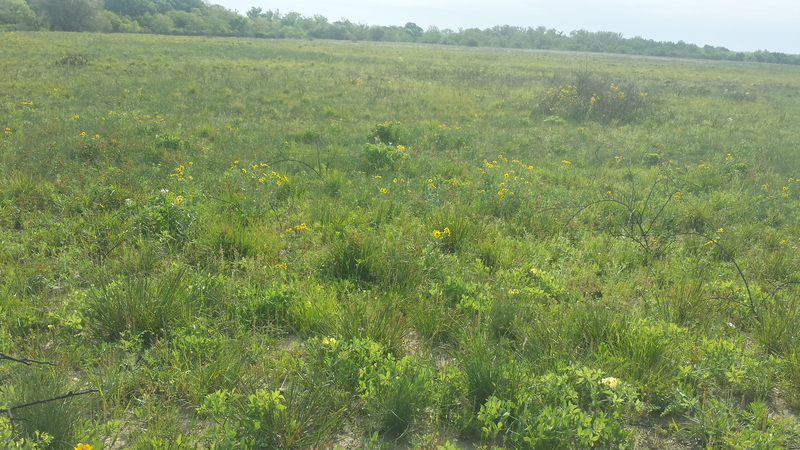 He pointed out that more people go to a Texans football game than there are Upland Sandpipers left in the wild. Most of the population was wiped out by hunters after the passenger pigeons were disappearing, and the species has never been able to recover.We also saw some Black Necked Stilts and Scissor Tailed Flycatchers on the drive back. This brings our species count for the year up to 92. 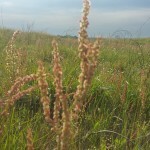 The walk was not all that “birdy”, but it was really nice to be outside walking about the prairie. Many flowers were in bloom (which probably explains the “Bloomin” part of the festival name) and one of the men in our group kept pointing out the names of them as we went. It was interesting but my mind did not keep track of the information enough to recall it now. The middle of our walk brought us to a horseshoe lake, and it was very peaceful out there. The breeze was gentle and it was quiet. I sat for a bit inside the bird blind, watching coots and grebes out on the water. For a short time, I visited with my friend Allison that I know from geocaching, who was also at the festival and participating in the same timeline of activities as we were. I got her phone number in hopes that we can plan an activity together, now that I know she also enjoys things like this. Sebastian mostly slept in the stroller during this part, although he had been active earlier in the trip (practicing walking up and down the observation platform incline, and mooing at the cows in the nearby fields with me). He woke up when the walk ended, as we reached the open bay of a maintenance building where the Friends of Attwater Prairie Chickens group had information displays and fund raising sales set up, as well as free refreshments. We enjoyed talking to some older men that were a part of the group, after asking them about how to get to the Texas-Monthly famous Austin’s BBQ joint in Eagle Lake. We stopped there on the way home and got enough BBQ for lunch and to have for dinner, and also found a geocache on the way home. 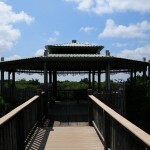 It was a very enjoyable morning out at the preserve, located about a 45 minute drive west of Katy. 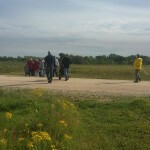 Normally, the van tours to see the prairie chickens run once a month, and people can do a car tour route to look themselves. The best time to view the chickens is around sunrise or in the hour after, like we did on our trip out there. I would recommend planning to stay for a half-day and taking a walk out there as well, or planning trip around the festival, which is usually the second weekend in April. Yesterday, we were out checking out some places we plan on utilizing to prepare for this year’s Texas Challenge, and we decided on a whim to stop on at the new Nature Center off Riley Fuzzel Road in Spring. This Center is part of the Spring Creek Greenway system, a project managed by the Bayou Land Conservancy. 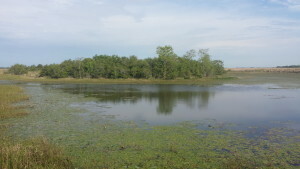 The Spring Creek Greenway will eventually connect thirty three miles, encompassing 12,000 acres, offering protection for this valuable riparian habitat along the edges of Spring Creek. This will make it the largest continuous forested urban corridor in the U.S. The Greenway is 75% complete, and will eventually connect Burroughs Park in Tomball to Jesse Jones Park near Kingwood. The map here suggests it will actually then curve north and go all the way to what looks like New Caney (this discrepancy is the difference between what area will be part of the parks managed by the precincts, and what will be protected preserve land set aside by the Bayou Land Conservancy). 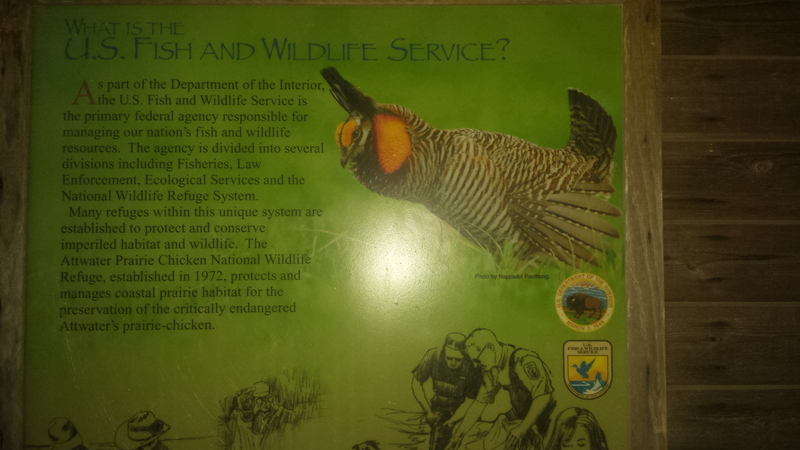 This particular Nature Center that we went to is about halfway, I would say, along that route. The $2.2 million facility was built with funds obtained from the sale of a community center and a grant from Texas Parks and Wildlife. Inside the Center, a volunteer told us about the literature that was available in the front part, which included what we came in here looking for – a map of the trail system. Then she told us about the exhibits they had in the Discovery Center, and my youngest child managed to get in on a short tour/education being given to some other children by another volunteer about the snakes being housed there. They told us that there had just been an Angler Education course, and there were still some animal exhibits on ice that they could show the kids, so we all ended up outside marveling over a small shark and sting ray. Another volunteer held them up and showed us some of the interesting features, then let the children touch them. Also, they had a bin of squid, shrimp, oysters, and other small aquatic creatures that the kids could touch. After this, we took a short walk around the lake off to the side of the Nature Center. We looked for birds to identify and for a couple of geocaches. If we had time, we could have spent all day out here doing that, but we were on a limited time frame. Looking out on the lake initially, we spied a Great White Heron and Snowy Egret hanging out. A man we ran into at the park at the other end of the lake told us they had been hanging out there together for a couple of months. He also said that a bald eagle has been spotted flying over the lake. He sure seemed to know a lot about the day to day life here in this little corner of the park. I think he was a grandfather who lived nearby and took his grand kids to play here regularly, as he was with some little ones who played with ours as we looked for a nearby geocache. On the way back to the parking lot, we saw a lot of bird activity. I thought we were seeing a new bird for us, until we looked it up later and realized what we were seeing was the female Eastern Bluebird. We also saw males. I saw two woodpeckers flying about trees together that I am fairly certain were ladderbacks. We also saw Yellow Rumped Warblers and what I think was a mix of Savannah and Chipping Sparrows. Kill Deer peeped as they flew across the lake in a trio. I am sure there were many new birds to us, but we aren’t that good at this yet. I did identify some species near my house this week, most notably the European Starling. The grackels are out in FULL force, and I noticed when looking at them that the Boat Tailed and Great Tailed are mixed in with the Common. Rock pigeons fly up under the overpass at 99 and the Westpark, as well as other places in town. So with the Ladder-backed Woodpeckers, that brings the year total now to 42. 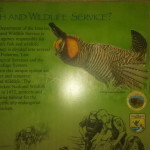 My younger son and I were most impressed with the Nature Center, although I think the others enjoyed it too. There is so much to see here, and I want to host a geocaching event here to experience it. I am considering hosting events at all the parks that are completed throughout the Greenway system on a rotating basis this next couple of years, so that my caching friends can go out and experience these places too (many of them already have, but not all of them have seen all the locations). This makes me feel excited about the future. I can’t wait to find more caches and more birds! We had a single purpose when we went to Burnet, a single purpose that had morphed into other diversions but was our sole motivation for our journey. So here it was, Sunday morning, and it was time for the main event. Only, things weren’t going well right from the start. There was an incident with the screen door at the place we were renting. There was an incident involving the wine that almost cost us the entire bottle. We had no breakfast with us, because what I brought for Saturday was not enough, and so we had eaten Sundays ration as well. There were some other personal issues. J said we should have just gone back to bed and started the day over. Plus, we were a little behind schedule if we wanted to find a place to have breakfast along the way. Turns out there is NO breakfast along the way to where we were going, just thirty minutes of road and farm houses along the dried out banks of Lake Buchanan. Several properties for sale. We finally decided to bite the bullet and dine at the overly-priced but very good buffet at the Canyon of the Eagles Resort. This resort was just a couple miles up the road from our main destination, the Vanishing Texas River Boat Cruise. On occasional Sundays, this boat line offers a special trip for bird lovers called the “Freedom Flight”. A San Antonio raptor rehabilitation service comes out with birds they have nursed back to health that are ready to be returned to the wild. For each bird, a person on the cruise is picked to be the one to hold the bird before it takes its farewell flight. We were very excited about this, being fans of the birds of prey. I should have known something was up when I observed there were so few cars in the parking lot at check in time. When we went inside, there was some tension going on, and the employee behind the counter was frantically on the phone trying to figure out how to resolve the issue. A few ladies inside gave me the run down: basically, there was some kind of “emergency out of town trip” by the cruise line operator, and so the Freedom Flight had been rescheduled for NEXT Sunday. Turns out there was an email sent out July 22 that served as notification. J and I searched my email to find it, and he saw what I saw when I had gotten the email – it appeared to be a confirmation of the cruise I already knew I had reserved. It wasn’t unless you clicked on the link in the email to view your tickets that one could see that the original date was crossed out, and the new date subbed in. Man, we were disappointed. We had spent a considerable amount of time and money to get to this point, only for this big let-down. We weren’t going to be able to afford to spend those same resources the following weekend. So, we did the only thing we could to get our minds off this: geocache all the way home. 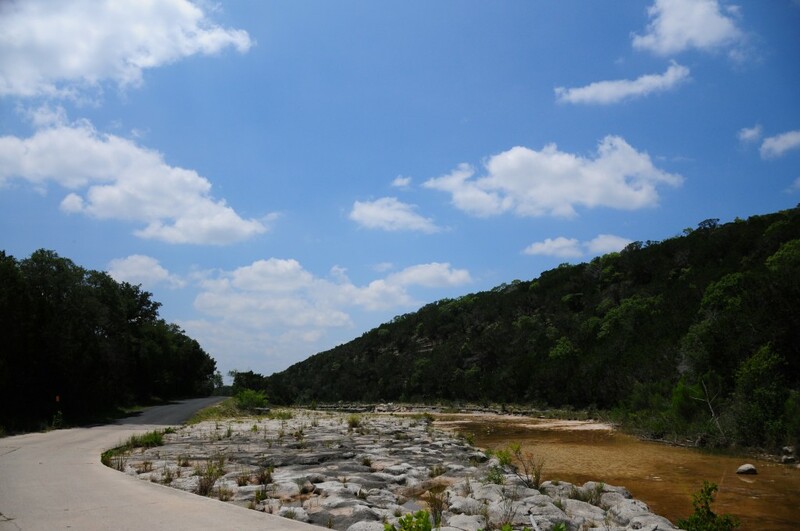 We picked a scenic route home that took us through the Balcones Canyonlands National Wildlife Refuge. I didn’t even know about this place, but I am glad I do now. This gazebo was the site of a virtual geocache, and while we were there, I read this sign that shared some interesting information about the preservation work going on at this NWR. There are two birds that depend on this ecosystem for survival, the golden-cheeked warbler and the black-capped vireo. There is this other bird, the brown-headed cowbird, who is a nest parasite. The cowbirds will take over the nests of the vireos, puncturing their eggs and knocking them out of the nest, replacing the vireo’s eggs with eggs of their own. The eggs will hatch, much to the surprise of the vireo, who is now taking care of babies that look suspiciously unlike her. At the refuge, the rangers try to manage this by building traps for the cowbirds – a big aviary, much bigger than even the feral hog traps that you see at parks in Texas. There is some information here on the different trapping methods and how to become certified to trap these birds by the TPWD. The cowbird has been increasing in prevalence and dramatically altering the number of songbirds that make it to maturity in this day and age. The reason has to do with agricultural practices of people. The cowbird used to follow the buffalo herds and therefore move through an area, but now with livestock penned up in pastures, the cowbirds stick around. By the 1980s, they were preying on black-capped vireo nests at a rate of 90%. Since the inception of the trapping program, the parasitism was reduced to less than 10% by 1999. I am very fascinated by this example of how humans altered the behavior of a species, and how we have managed to turn that around in a positive direction. 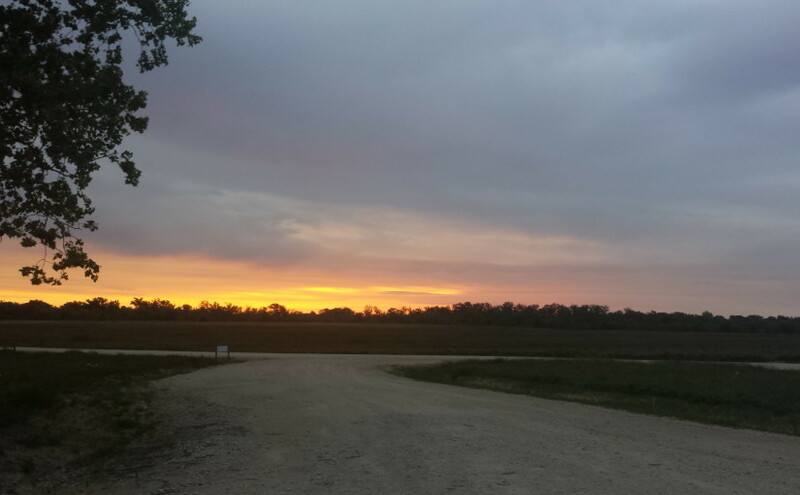 The drive was also quite pleasant. I was able to drink a little of the salvaged (and now frosty) wine. All we were missing were some Willie Nelson CDs (or any CDs – neither of us had any music along with us, and I think we could only get a country station in now and then). 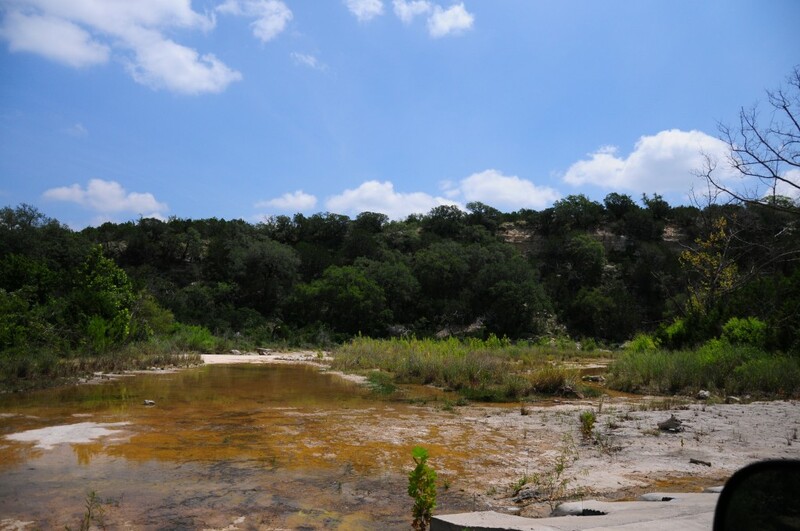 We drove south from Bertram to the Highland Lakes area north of Austin via the Cow Creek Road, and saw nary a car or another person along the way. We stopped a few times. We were able to shelve our disappointment and enjoy the trip. There are four access points for the public to the NWR, and two of those have hiking trails: Doeskin Ranch and Warbler Vista. It was a little hot during midday for a long hike, but we did explore a little. We also hit a small section of a “power trail” of geocaches very close to the Warbler Vista entrance. After a while of this, we were too hot to continue and decided to just come on home. But, we will be back. We have to at least return to Burnet in the fall – I managed to get our tickets exchanged for a different date later this year. So the trails of the hill country will have to wait until then. It might even be better then, because the bald eagles will be nesting during that time. 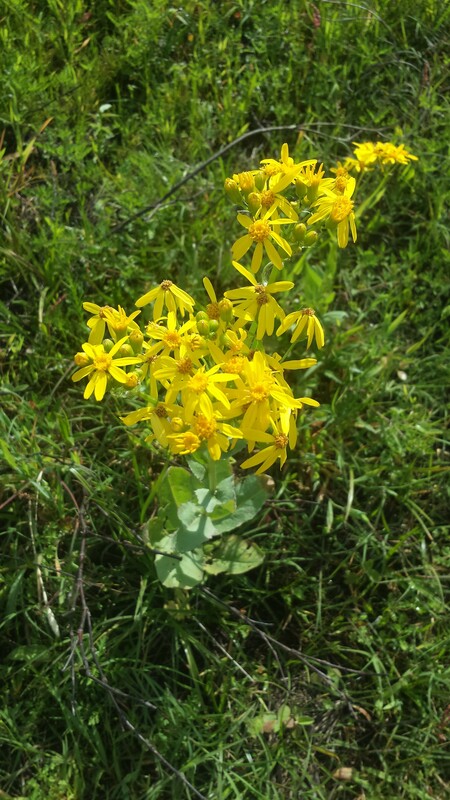 So goodbye Burnet, Balcones, birds, and the hill country – we will be back soon! You might have seen our Facebook posts Friday about watching the Purple Martins roost in Stafford. We posted enough pictures and videos there that I don’t necessarily feel like I need to double post them here. As far as I know, the only readers of this blog are friends with us over there on Facebook (?). The posted YouTube video, though, is from that same night, taken from someone behind us. Jason and his parents are over to the left of the view, I think I was sitting down at this time. I really enjoyed the hour or so we spent out there. At first, the birds gathered slowly, and seemingly with little purpose. They weren’t flying as much as they were gracefully gliding with the night breeze. I found their movements to be smooth and silky feeling, and it was relaxing to watch. Birds would glide in and out, and the group gathered in numbers and then eventually in momentum and energy. It went from a few groups of hundreds of birds to a more solid group of thousands, coming closer to the ground and moving faster and faster, tweeting, beating wings in unison. They would light on top of the trees and then suddenly move off en masse, and then more birds would join and they would repeat the process, over and over until they finally settled. I wanted to share a thought about those graceful little birds that really intrigued me, though. Twelve thousand years ago, before man crossed over the Bering Straight into North America, the martins kept their nests in abandoned chambers of woodpecker nests or hollowed trees. However, at today’s evolutionary point, these birds have stopped nesting naturally east of the Rockies, and are completely dependent on humans setting up houses or gourd-like nests for them. This is a behavior shift that happened over hundreds or thousands of bird generations, as the humans and the martins began mingling. Back before the urbanization of America, the Native Americans had realized the appeal of these little birds. The purple martins acted like little “scarecrows”, scaring crows away from crops and vultures away from their meat and hides. 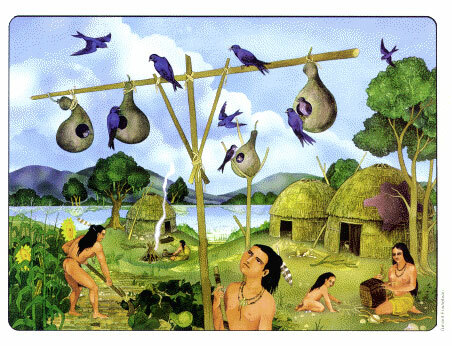 The Native Americans hung dried out gourds up to attract the birds to nest near them. The birds were potentially able to lay more eggs and successfully raise more offspring to maturity as a result. Over time, the birds returned to these nests year after year, until they “forgot” how to make it on their own in North America. Approximately one million Purple Martin houses are put out by human beings to keep this species of bird going. By the early twentieth century, this behavior shift was complete. Also, around the 1800s, the introduction of the House Sparrow and European Starling to North America meant that the Purple Martins had competition for resources. The starlings and sparrows take over the houses of the martins, and the martin numbers began declining in the 1980s. Pesticide use and deforestation in the martin’s winter grounds in Brazil have also added to the decline of this species. The Purple Martin Conservation Association formed in 1987, and has been trying to keep these birds from further decline. You can get more information here if you are curious about this association. This has made me curious about the co-evolution of humans and other species, and also about the ways people help nature. I am not sure if the relationship the martins developed with the humans was negative or positive – while they do benefit from the support of the houses, if we didn’t enable them with the houses in the first place, they might have retained their ability to find their own nests and be sustainable as a species without us. I am going to look for more examples like this to illuminate in future posts.